With the EU's debt crisis and the Iranian confrontation relatively quiescent, attention has turned to the incessant increase in U.S. gasoline prices. The Capitol Hill gas station, where at least some members of Congress fill up, is currently selling regular for $4.49 a gallon. If you prefer to do business at the Watergate Exxon it will set you back $5.39 for regular. For a real taste of the future, then be sure to come in a full-sized SUV with a big V-8 and a 33 gallon gas tank - a fill-up will only be $188 for premium. Before we get to what is happening in America, however, it is worth reminding ourselves that gasoline prices in Europe are now above or approaching $9 a gallon and are at an all-time high when expressed in Euros. This is due to the falling value of the Euro and the array of supply disruptions which have plagued European refiners and pulled down EU reserve stocks in the past year. High gasoline prices have played a role in U.S. election campaign rhetoric going back to Jimmy Carter's day when Carter was forced to defend the high prices that ensued from the Iranian revolution and hostage crisis. Four years ago, then candidate Obama excoriated the Bush administration for the price spike of 2008. In reality, other than to release crude from the Strategic Petroleum Reserve, there is very little a President can do to affect oil prices in the short term. Decisions made by governments, such as where to drill, or how efficient cars must be, may have a measurable impact a decade or two from now but to claim the ability of the U.S. government to influence prices short of that is pure demagogy. 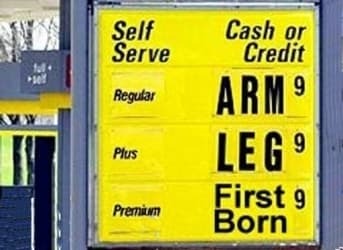 In recent years the American people have become somewhat inured to higher than normal gasoline prices. Economically weaker drivers have been forced from the market or have cut back consumption and the rest have adjusted as needed. 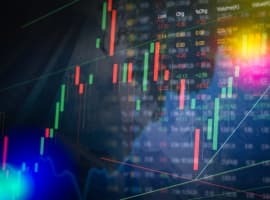 This has been helped by a steady stream of economic commentary assuring us that things were much worse back in the 1970's and that prices still have a ways to climb before wreaking real economic havoc. Gasoline prices have not been in the forefront of Election 2012 until recently when polls of the electorate showed that the 30 cent gasoline price increase in the last month was, in the words of Forbes Magazine, "freaking out" the voters. The President's disapproval ratings soared with the gasoline prices. Nearly two-thirds of the voters say they disapprove of the way the President is handling gasoline prices and only 26 percent approve of his energy policies. Interestingly, 54 percent of those polled believe the President can control gas prices. Some of the public's perceptions stem from the President's election opponents, who after getting into trouble on various social issues of late, have turned to gas prices as a winning issue. In reviewing the opponents' official platforms, none of them seem to have any plan to lower gas prices other than by removing government regulations, restrictions, permitting etc. The candidates, of course, are aided in this effort by industry groups who have long sought to be free from as many constraints as possible and have spent untold millions on advertising to convince the voters that less regulation means lower gasoline prices. Consideration of climate change or anything else to do with the environment is demonized as keeping us from having cheaper gasoline is an omnipresent theme in all platforms. 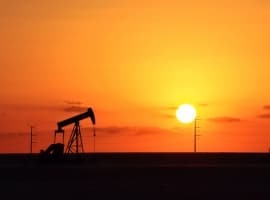 For its part, the White House has struck back with a report noting that U.S. has cut foreign oil imports by 2 million barrels a day (b/d) since the President took office and that drilling and domestic oil production are at recent highs. This report, of course, is a political document in which the administration suggests it deserves credit for developments in most cases outside of its control. Oil imports are down because of the on-going recession, and more recently very high prices, not any deliberate administration policies. To be fair, the Obama administration has now removed so many constraints on drilling that the oil companies have enough opportunities to explore for and exploit oil deposits for many years ahead. Issues such as drilling off the coasts are unlikely to be productive and are largely red herrings. Except for immediate approval of the Keystone pipeline, which incidentally is likely to raise, not lower, gasoline prices in the Midwest, the U.S. oil industry seems relatively happy with its current lot. They continue to express concerns about regulation of fracking but with drilling for shale gas trending down, this is not an urgent issue. At least some of the mainstream media is beginning to understand the realities underlying America's gasoline price problem and is beginning to look behind the political bombast far enough to develop a somewhat realistic appraisal of our energy situation. 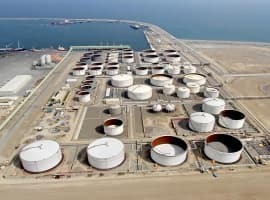 A recent Washington Post story on the political dispute says, "Today's oil prices are the product of years and decades of exploration, automobile design and ingrained consumer habits combined with political events in places such as Sudan and Libya, anxiety about possible conflict with Iran, and the energy aftershocks of last year's earthquake in Japan." All this is good. The story goes on to discuss growth in Chinese demand (400,000 b/d each year); the role of speculators (they only magnify the speed and size of the price movement, not the direction); the Keystone pipeline (nothing to do with price for a while); the tight global market for oil; and releases from the Strategic Petroleum Reserve. The Post, however, has to take one more giant step before it comes completely in touch with reality. One searches in vain for any mention that conventional petroleum production, from which our high-priced gasoline is made, has been stagnant for the last six years - i.e. global oil production is peaking. Once this threshold is crossed we (the press, the administration, political candidates, and the body politic) can begin a meaningful discussion of our options for the future. As to the price of gasoline, why does the author, Tom Whipple, not mention the role of quantitative easing (i.e., money-printing) by the FOMC of the Federal Reserve Bank (FRB)?? Folks, since August 2008, the FRB has printed well over $2.5 TRILLION. That is right, $2.5 TRILLION, *NOT* billion. IOW, the FRB has increased the M2 money supply several times in recent years. Does Tom Whipple think that such a monetary policy does _not_ cause price inflation as to oil & gasoline?